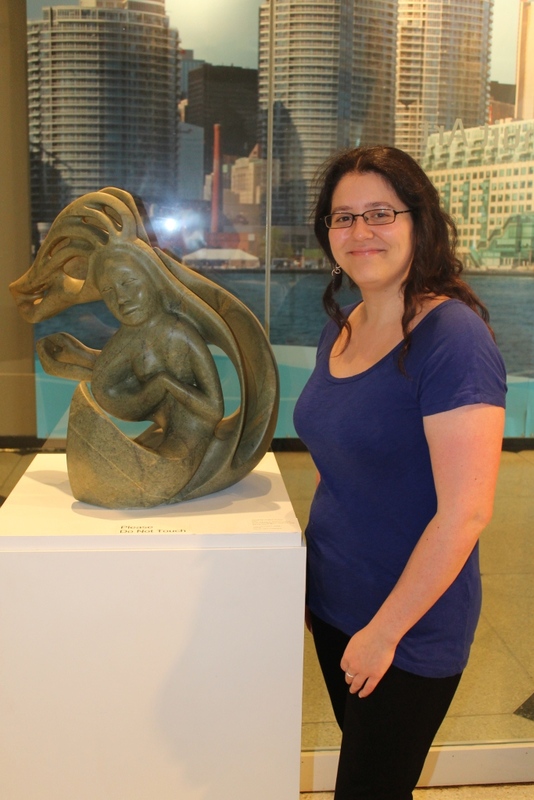 I’m interested in Aboriginal art. I like Abraham Ruben’s “Sedna and Raven” because of it’s fluidity. I just want to embrace it! 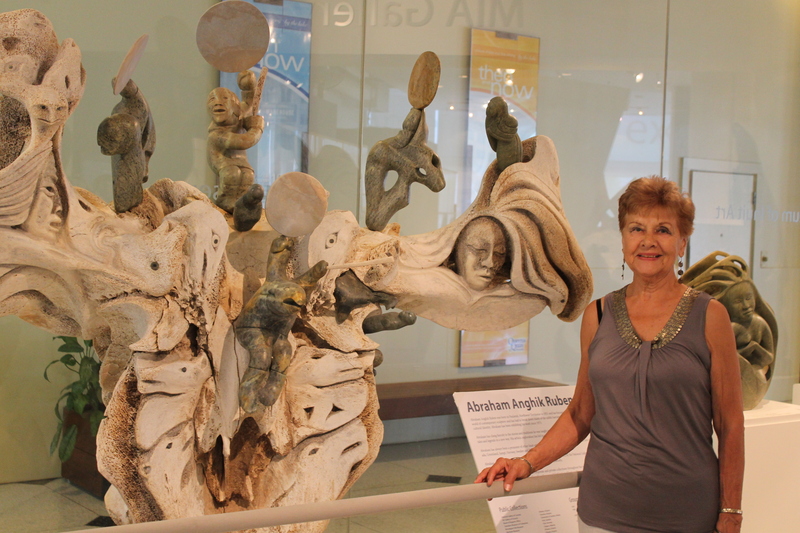 I also loved the spiritual/human sides of the piece and the mother putting her trust into the Shaman. Paulatuk, NWT, stone, Sprott/ MIA Collection. I’m interested in Inuit culture. It’s my first visit. 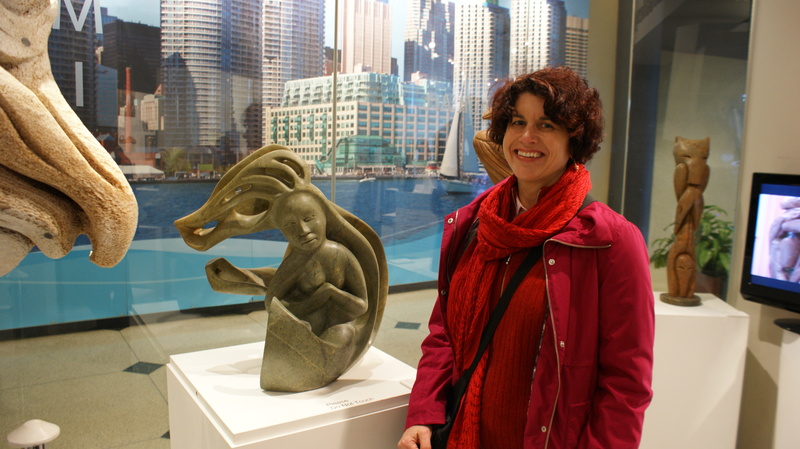 This piece shows so many things that are close to my heart and I like both the flow of the sculpture and the type of stone used. 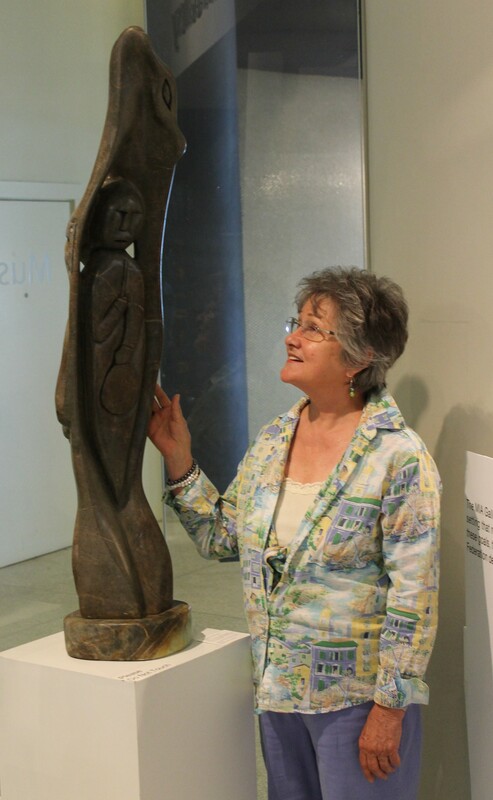 Arelene A., a MIA visitor, with “Memories: An Ancient Past” (2010) by Abraham Anghik Ruben, Paulatuk, NWT, stone, whalebone, wood, Private Collection. I’m here to do some sightseeing in Toronto. It has so much detail, telling the story of Inuit. 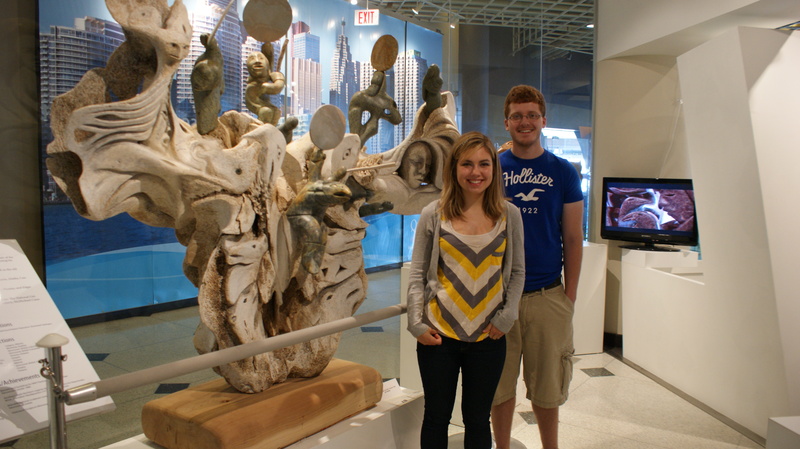 The sculpture drew us into the museum. It is one of several we enjoyed. Yes it is. We were just wandering around the Harbourfront. It is very intricate and complex. 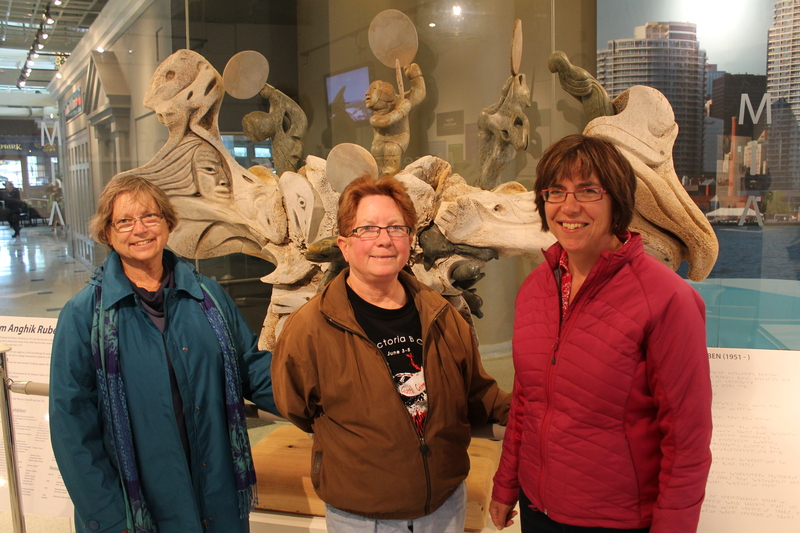 It is impressive and interesting that it’s made out of whalebone. Yes, my first visit. Touring through Toronto. It’s whimsical and feminine. But it has a great sense of inner strength about it. It’s just very beautiful.